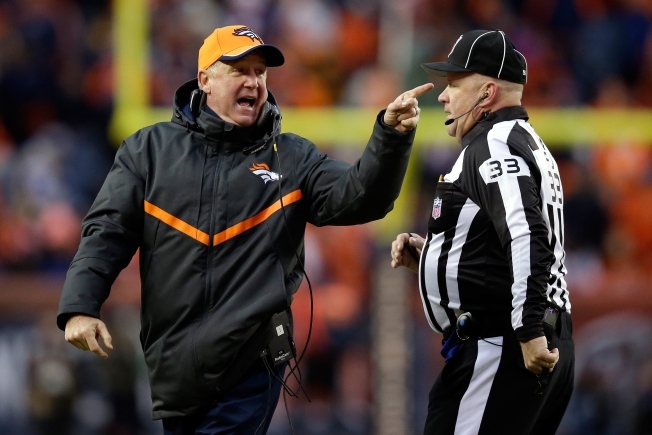 Could Bears Score Experienced Coach in John Fox? The Chicago Bears still find themselves without a head coach, but just a day after one coach with NFL experience closed the door on an opportunity in the Windy City, another one may be primed to join the organization. That’s because John Fox and the Denver Broncos parted ways on Monday afternoon. Fox, who had a 46-18 record during the regular season with the Broncos and led them to four straight playoff appearances during his tenure, left the team after they fell to the Indianapolis Colts on Sunday afternoon at Mile High Stadium. As soon as word of Fox’s departure came out, NFL experts from around the league weighed in on potential destinations. Teams like the 49’ers and Jets will almost certainly be in on Fox now that he’s available, but if Ryan Pace is serious about making a splash and bringing in a coach who can establish an identity for this team, Fox has to be on his radar immediately. Fox’s reputation as a defensive-minded coach is well known, and the results speak for themselves. No, he hasn’t won a championship, but he’s been to the playoffs in four consecutive seasons, took the Broncos and the Carolina Panthers to the Super Bowl, and he’s got loads of experience. All of those factors would make him instantly respected in the Bears’ locker room, and after the experience of having Marc Trestman lose the ears and minds of his team, it would be a refreshing change of pace to have a leader like Fox at Halas Hall. Is Kubiak Rejection an Indictment of Bears? Of course, the Bears aren’t exactly the prime destination for a guy who is likely going to want to go to a playoff contender rather than a rebuilding project. The 49’ers are definitely in the former column, and the Atlanta Falcons are another team that is as well. Both of those teams have young talent, and the 49’ers have plenty of defensive weapons to arm Fox’s system with. Despite that, there is some connection between the Bears and Fox: Ernie Accorsi. The man consulting the ownership and Pace on the coaching hire was Fox’s boss for four years with the New York Giants, as Fox was the defensive coordinator from 1997-2001. Could it be possible that connection could be used to the Bears’ advantage? We’ll have to wait and see, but in a situation where the Bears seem to have cast a wide net, they may have finally caught the break they need to land the biggest fish in the pond.